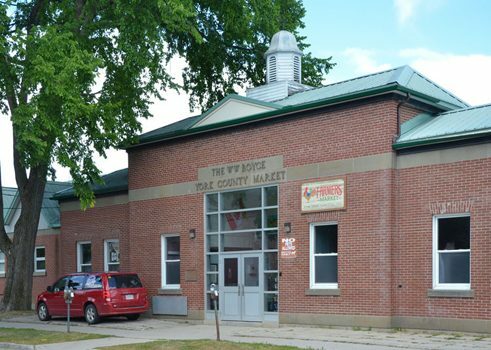 Boyce Market in George Street is one of Canada’s best farmers markets, with its fresh fruit and vegetables, organic meats, sausages and cheese, as well as high-quality seasonal products and local crafts. Tourists and locals will happily get up and hurry over to the market on Saturday mornings, as it’s a great meeting point for getting a coffee, chatting, or having a bite to eat. The market, which is partially indoors and partially held in the open, has a huge selection of culinary delights. 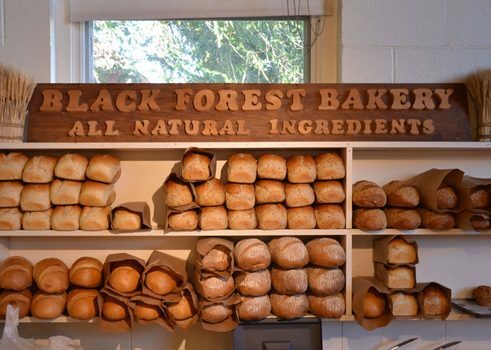 The German bakers, butchers, and snack bars are a characteristic part of the market particularly rich in tradition. Elke’s ham, Adolf’s smoked pork chop or Weißwurst (a traditional Bavarian sausage), and Rudolph’s bacon and fresh rye bread are all wonderful! In the market hall, you can also find a stand selling products from the Winegarden Estate Winery & Distillery. If you follow the delicious smells outside, you’ll come across snack bars with grilled sausages or schnitzel on a bun. You can browse through the list of vendors on the website attached below. For example, if you’re interested in artisan crafts, you can find a watchmaker, a blacksmith specializing in ornamental objects, and decorative floral arrangments made of dried flowers. The German vendors have emigrated from a number of different regions, such as the Black Forest, Lake Constance, Kaiserstuhl, Bavaria, Saxony, or northern Germany. If you head for the market hall in George Street, make sure to pay attention to the signs pointing the way hanging from curved iron posts decorated with scrollwork. These signposts were made by Veit Weber. This blacksmith has been coming to the market since 1985 to sell his wares. Depending on the wishes of the customers, he makes things like custom railings, gates, ornamental signposts, wrought-iron lamps, decorative mirrors, and other similar products. Veit Weber emigrated in 1984 with his wife and other like-minded people on the search for an alternative lifestyle. At the time, they found Canada’s east coast, specifically New Brunswick and its relatively low property costs, to be particularly attractive. They eventually decided on moving to the city of Fredericton with its historical charm. Equipped with a business plan and an old anvil from 1901, he moved to Millville with his family. He wanted to carry on the tradition of blacksmithing there as a blacksmith specializing in ornamentation, following in the footsteps of his grandfather, who had worked as a smith in Remschied from 1920. Over the last few decades, traditional smithing has needed to adapt to automation in the steel industry. After seven years’ experience as a registered psychiatric nurse, Veit Weber learned the craft from his father in four years. Even while working as an RN, he would regularly help out with his father’s work. Thanks to a subsidy from the province of New Brunswick for new companies, Veit Weber could start up his business. However, New Brunswick’s building and craft culture was dominated by woodworking at the time, and the New Brunswickers weren’t familiar with blacksmithing, so it was very important for his business to advertise at local craft and art fairs, such as in Mactaquac. Commissions from the city enabled Veit Weber to build up his reputation and to leave his mark in Fredericton. Examples of his work include the gate on King Street next to the restaurant “Brewbakers”, the benches and sundial in front of the New Brunswick College of Craft and Design, and the above-mentioned signposts to Boyce Market. He has been supplementing his job as a blacksmith with teaching Buddhist philosophy since 1993. He works as a Buddhist chaplain for the penal institutions in the province, where he cares for the inmates practicing Buddhism. He teaches seminars on religion at the University of New Brunswick’s Renaissance College from time to time. He has remained true to his wish for a simple life, where immaterial values like time and space have priority. Ironically, he first really felt like he belonged after suffering a major blow. When his house in Millville burned down in 1987, it was his neighbours who helped him and saved his wife’s life. According to Veit Weber, this experience with humanity and understanding changed everything and has been a big motivation for him. Visitors to Boyce Market should definitely have a look at his stand!